The School is a prestigious faith-based school committed to students' education. Located in the highly desirable city of Toowoomba. As an all-through school, their reputation for excellence is recognised across the board. The School particularly prides itself on the individualised learning environment that encourages all students to explore and develop to their full potential. Being a faith-based school is integral to the ethos of the school, students and wider community. The successful applicant must therefore be committed to upholding this culture and actively contribute to the wider-life of the school. The school is seeking a Visual Arts Teacher to join their enthusiastic department for a Term 2 Contract [23rd April 2019 - 21st June 2019]. As Visual Arts is offered to students across Years 7-12, the candidate would therefore need to be flexible to teach across this range. 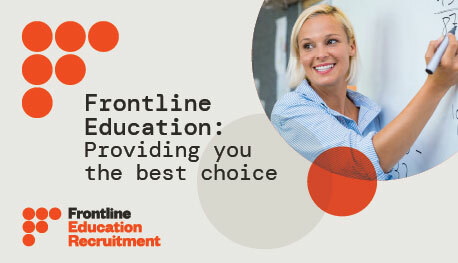 Alternatively, for a confidential discussion, please contact Renee Lee at Frontline Education on 0408 705 872, quoting Ref No. 155607 or otherwise please check out our website for other available positions.